your very own magazine. Your wedding. Your words. your wedding in print and online! Welcome to The Wedding Editorialist where we believe that every love story deserves to be told. 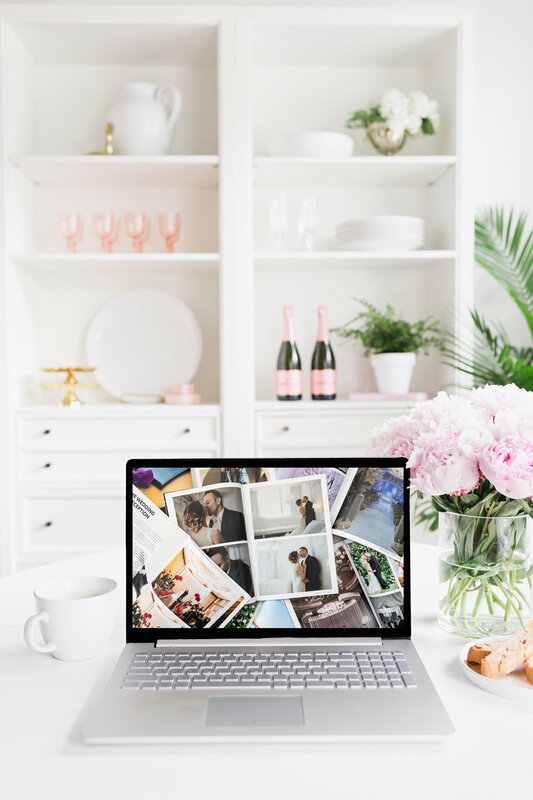 The Wedding Editorialist is service that helps you create a wedding magazine and album dedicated exclusively to your wedding. Our editors and designers work with you to create a stunning, one of a kind wedding magazine featuring 40 full-color pages of photos and editorials. Your publication is printed as a hard copy (yes, you get an actual, real magazine! ), hosted online, and comes with feature images for social sharing. Be internet famous! The Wedding Editorialist is the perfect gift to send to friends and family, as a personal way to thank them for celebrating your special day! One copy of your issue of the Wedding Editorialist, featuring your wedding exclusively from cover to cover! Your issue is featured on the Wedding Editorialist Blog and all of our social channels. Our editors work with you to create documentary-style editorials that allow you to relive the excitement of the wedding planning process. Celeb Status! Each issue is dedicated to showcasing your entire event, something you can show to all your friends and family! PLUS feature images for social posting for your followers and friends. Get Your very own Wedding magazine Today! Select the type of issue you want to create. We offer personal pieces and professional marketing tools. Customize your order and purchase online. Download our easy to use intake form, which includes text and imaging directions. Complete your intake packet and return to The Wedding Editorialist via Dropbox. You MUST include a photographer's release form! Receive your digital proof in approximately 4-6 weeks, along with images and graphics for social media sharing. Receive a link to your publication, a digital embed code, and a social sharing images. Receive your printed issue in 2 - 3 weeks. Order additional copies for family and friends!